One of the most important things we do is pray for one another. Therefore, we are excited to begin a district-wide prayer ministry so churches can pray for each other on a rotating weekly basis. Each week, you are assigned a church to pray for and another church is assigned to pray for you. Pray for the church’s pastor(s) and church leaders. Pray for the church’s outreach and service ministries. Pray for unity and love within the church’s membership. 1. Each week in your worship bulletin print the name of the sister church you are praying for then lift that church in prayer during worship. Also print the name of the church praying for you. 2. Send a card to the sister church you are praying for. Place the card on a small table near your sanctuary entrance so members can sign it before and after worship. 3. Publish your prayer calendar in your church’s newsletter. 4. Post your prayer calendar in a prominent location in your church. 5. 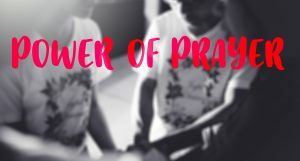 Contact the pastor or leaders of the church you will be praying for to ask for specific prayers you might lift for them. 6. Email the calendar to all your church members. To learn more about the sister churches you are praying for, click on a church’s name on your calendar or see their information in the congregation section of the website. We are grateful for your commitment to pray and lift up one another in the name of Jesus Christ! Click here for your church’s calendar.